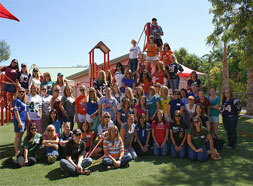 The JLBR transforms South Florida through advocacy, direct service, public education and fundraising. We provide resources, knowledge and funding through the training, education and volunteerism of our members. We serve as a much-needed volunteer resource and a catalyst for positive change through partnerships with numerous nonprofit organizations. We work passionately to host signature fundraising events, to tackle a wide variety of issues.